Join us from Thursday, 19th July to Sunday, 22nd July as we celebrate the grand opening of Joe the Quilter’s cottage in the 1820s Pockerley Landscape. Joe the Quilter’s cottage is the first building to open as part of our exciting Remaking Beamish project, an £18m development which includes the construction of a 1950s Town and expansion of our 1820s area. Visit the reconstruction of Joe the Quilter’s cottage from 12pm on Thursday, 19th July. Find out about Joe’s renowned quilts, his way of life and sadly how he was brutally murdered in 1826! See quilt displays in St Helen’s Church including a replica of Joseph Hedley’s quilt. Follow the quilting trail and find all of the museum’s internationally-renowned quilts including an original quilt made by Joe the Quilter. Take part in a murder mystery at 11am, 1pm and 2.30pm at Joe the Quilter’s cottage. Meet the Quilter’s Guild and find out more about quilting in The 1900s Town Bank Board Room (above the Bank). Guilty or not guilty… meet the Parish Constable and find out his verdict at Pockerley Waggonway. Enjoy afternoon performances by the Northumberland piper at Pockerley Old Hall. The Ran Tanners perform Joe the Quilter’s Ballad, Friday to Sunday, 2pm at Joe the Quilter’s cottage. Meet the Quack Doctor at Pockerley Waggonway. Have a go on the swing boat (small extra charge). Try pottage and other Georgian food and drinks outside St Helen’s Church. Stone masonry and wattle and daub demonstrations. Visit the Young Quilters in The 1900s Pit Village School on Saturday. Watch film screenings of the Joe the Quilter’s cottage construction story in Pockerley Waggonway Great Shed. Enjoy local musicians performing all four days. Singaround Sunday will be held at St Helen’s Church, 11am – 2pm. Make a Love Knot in St Helen’s Church. Discover Georgian gardening at Joe the Quilter’s cottage. Meet the pack horse as it travels around Pockerley. What’s more, as with all daytime events, there is no extra charge for Joe the Quilter’s Cottage Opening Celebrations. Daytime admission is included in the regular museum entry charge and it’s free for Unlimited Pass holders. 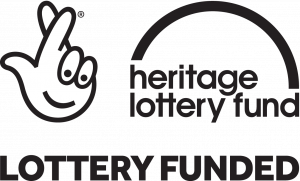 Thanks to the money raised by National Lottery players, the Remaking Beamish project has been awarded £10.9m by the Heritage Lottery Fund (HLF).